Simple Quick-Start 1W MF TX. Developed with GW4HXO, EIØCF & EI6DN. The output from this amplifier is small (around 980mV unloaded, about 290mV into 47Omega). The scope trace below shows what the DDS-60’s output looks at 472 kHz. The sinewaves are a little flat-topped but this doesn’t matter as it’s only at the driver stage. No commercial radio amateur gear currently supports 472 kHz for transmitting, so a transmitter has to be built from scratch. I selected to build a transmitter using valves. 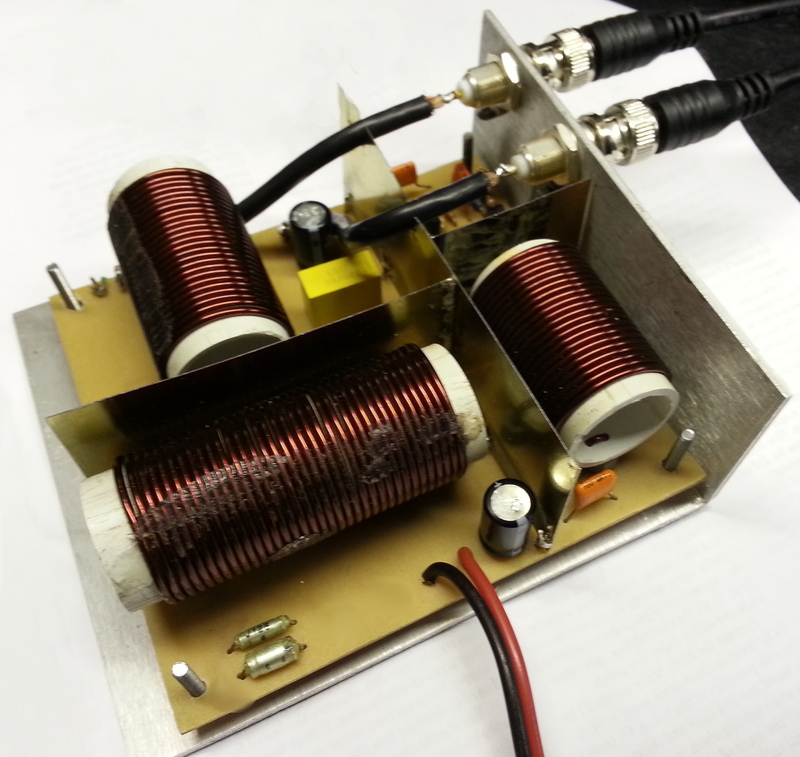 By all accounts, the little transmitter designed by GW3UEP and detailed on his website, is an efficient performer and would be a great 'first' rig for 630m CW.